Last Sunday it snowed round our way. For the first time in years my neighbourhood – like much of London, the South East and beyond – woke up to a blanket of fresh, snowball-perfect snow. And guess what: children went outside and played. They sledged. They made snowmen and snow angels. They had snowball fights. To repeat: children went outside and played. Is snow the ultimate plaything? Over sixty years ago the architect Aldo van Eyck, who weaved outdoor play into the fabric of war-torn Amsterdam, was inspired by seeing how, after a snowfall, children came out of their homes and claimed the city’s spaces for themselves. Even today nothing gets children of all ages out of doors faster, or in greater numbers, than a decent layer of newly fallen snow. Why is fresh snow such a universal draw? Surely the answer lies in its exceptional qualities as a material for construction and destruction. The invitations, offers and affordances of snow are extensive, inclusive and democratic. 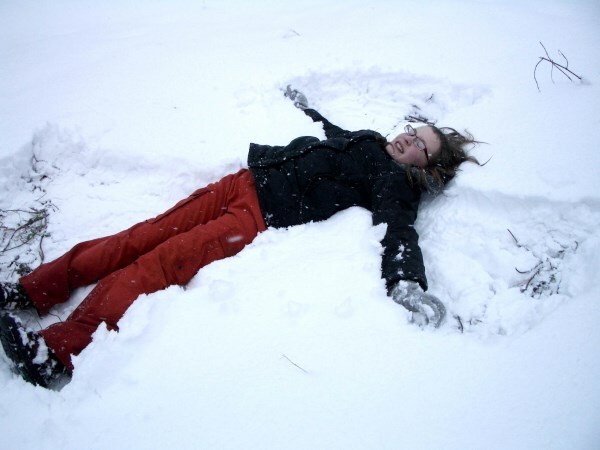 Anyone capable of moving their arms and legs can make a snow angel. No assembly instructions are required. A seasonal reminder of what child-friendliness means from Dutch architect Aldo van Eyck, whose work in postwar Amsterdam has for some years been a source of inspiration for me. Quoted in a piece by Alex Gillian of Public Workshop.